Cam's Cinematic Episodes: SPIDEY Watch: Venom Returns! Ola' guys. Just gonna drop a couple quick facts on ya that I've been alerted to. 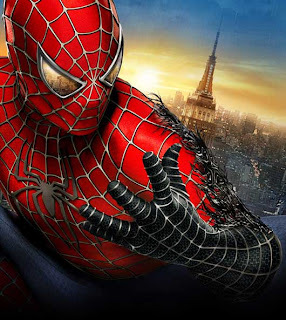 As you all know, I've had a lot of fun keeping up on developments with the character of Venom is Spider-Man 3. Duh, I know. 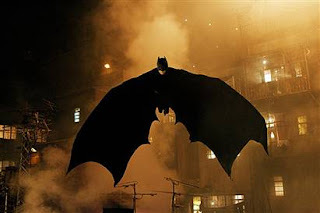 But, it's been a hoot and I can't wait for the Batman Watch: Joker tangents I'll be going on about in the near future. So, since this isn't gonna be a great big essay (Yesterday's 300 review took a lot outta me I suppose.) let's get to it! Tonight Sony posted up some new photos on their Spider-Man 3 website. 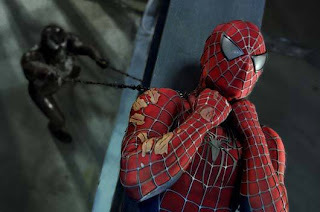 These photos gave us plenty of generic shots: Peter Parker in Spider-Man body suit showing concern, Harry looking bitter, Kirsten Dunst appearing forlorn, Sandman being angry, Bryce Dallas Howard (Pictured) as Gwen Stacy looking hot, etc, etc. Well, they tossed in a couple that give us some details regarding our favorite symbiotic psychopath Venom. 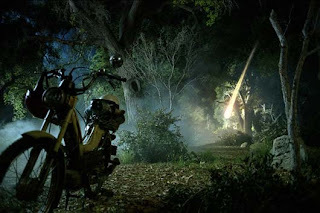 The first shot shows a meteor coming to earth near Parker's moped. This is obviously a hint regarding the exp lanation for the symbiote's (aka the black alien suit)entrance. Wisely scrapping its original origin (For a long breakdown see my other Spidey 3 write-ups) and instead reworking the Spider-Man: Animated Series entrance. Only they've rid of the whole symbiote stowing away on John Jamieson's space shuttle mumbo-jumbo. I tells ya, I like this simplified version and think it's save the film unnecessary exposition. So hear hear Raimi! You've maneuvered through the gauntlet of absurd Venom origins and found a good compromise. Maggie Gyllenhaal. Yeah, I know. This is hardly "Aaron Eckhart as Harvey Dent" exciting, but it's something. Frankly I wish they'd just written the character out of the series. Is Rachel Dawes really that important to the series? I guess I shouldn't argue, as Chris Nolan has a flawless track record with me. It is important to mention that Ms. Gyllenhaal (Stranger Than Fiction, Mona Lisa Smile) is a very talented young actress who I'm sure will handle the role wonderfully. She may even prove better than Holmes (Though it must be said that they look eerily similar.) who many felt was a lightweight. I had no real problem with her so my opinion is pretty unbiased. At any rate, like Begins, The Dark Knight is shaping up to have a pretty amazing cast. Still, its unfortunate Philip Seymour Hoffman turned down the Penguin gig. That'd been killer. Ah well.